While interviewing Linda about her favorite toy, this is the toy she described. 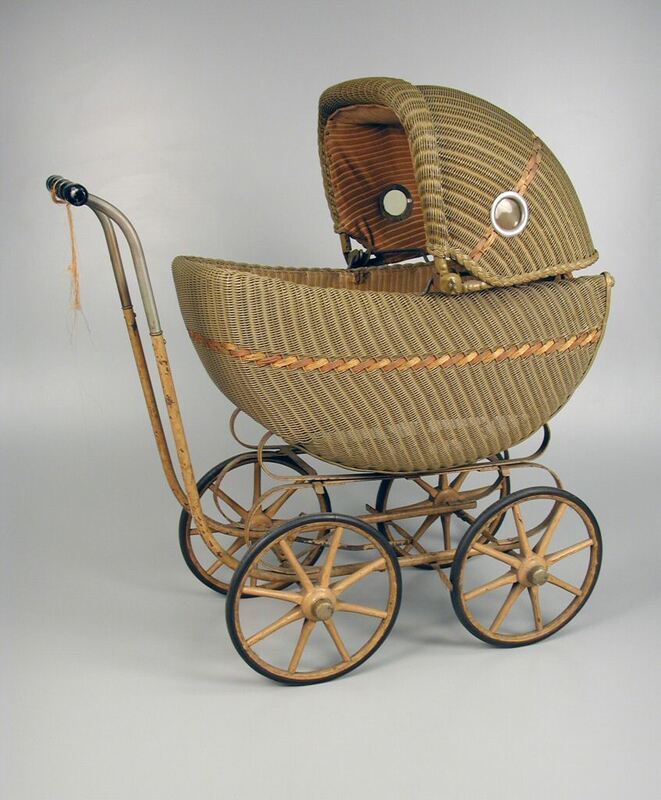 Linda received a wicker doll carriage similar to this one for Christmas. It was her favorite toy because she could call it her own, and she did not have to share it with any of her other seven siblings. She remembers vividly her carriage sported a blue fabric with triangles on the inside of its canopy, unlike the carriage in the picture. She kept the carriage in her house or on the porch because it was so precious to her. The children of Linda’s family only received toys at Christmas. 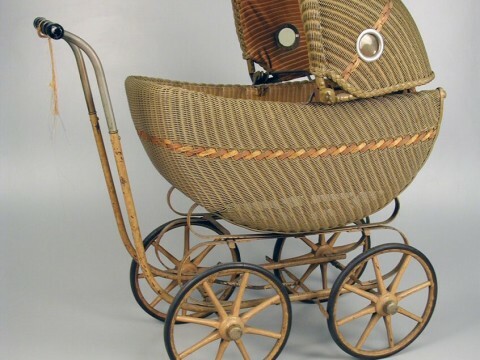 Linda is almost certain her parents bought her carriage from Woolworth’s in Raleigh, as her family lived in rural North Carolina away from large toy stores. Raleigh was the closest place for her family to buy toys. As a child Linda wanted to become a mother meaning this toy was perfect for her. To Linda it did not matter which doll she used in the carriage, they all could be placed in the carriage to become her baby. This toy influenced Linda’s future in the exact way anyone could have predicted, she became a mother, then she also became a grandmother.